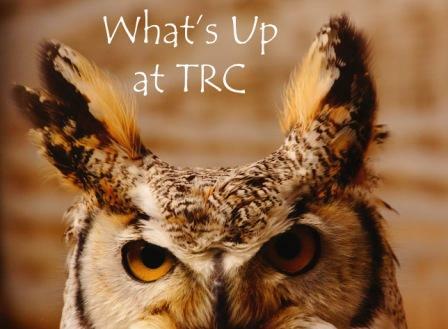 TRC is hitting the road this summer! Just in the month of June we are appearing in events in Afton, Otsego, Princeton, Mankato, Monticello, Buffalo, and Shakopee, MN. You can find the details for these and other places we are appearing at on our Public Events Calendar. You are always welcome to visit us at our site on the St Paul campus. We have public programs on the weekends, and we are open Tuesday - Sunday (except for UMN holidays and special events) for you to come for a tour of our education courtyard. Please visit our website at www.TheRaptorCenter.org, or call 612-624-4745 for more information. We hope to see you soon!